Welcome to June's Boathouse! The living is fine at this waterfront home lovingly built by a former June Taylor Dancer for the enjoyment of her family and friends. Original charm abounds, highlighted by just the right upgrades in the kitchen & bathrooms. 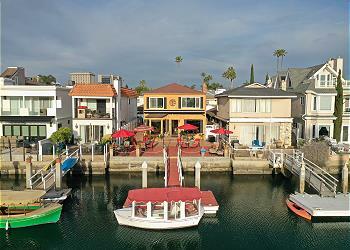 Two story 4 bedroom, 3.5 bedroom bay view rental in a quiet area between Newport and Balboa Piers. Three houses from the beach! Renovated Lower Beach Condo with Patio, BBQ! 1 House from the Ocean! Renovated 2BD/1BA unit located 1 house from beach! Newly furnished with upgraded kitchen and bathroom. Spacious patio with BBQ and partial ocean view. WI-FI/Cable/DVD/Linens. Shared laundry room and parking for 1 car in garage. 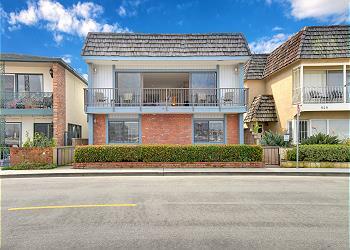 Oceanfront 2nd Floor Duplex - Great Views, Walk to Balboa Pier and Fun Zone! 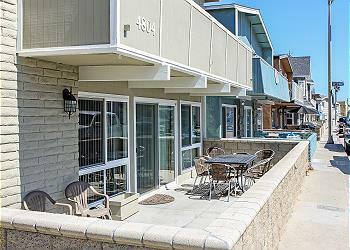 Oceanfront 4br, 2ba upper condo with stunning views all the way to Catalina. Roomy Livingroom with vaulted ceiling, flat screen TV and Fireplace. Stainless appliance in kitchen with breakfast bar. 2 spots in the shared garage. 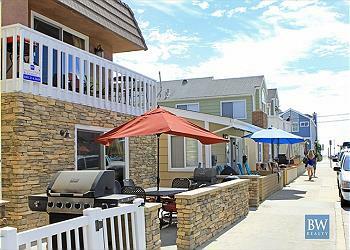 3BD/2BA lower unit, seventh house from the sand. Granite counters in kitchen. D/W, shared coin-operated W/D in the garage. One garage space on right side in a shared garage (no SUV parking). Gas stove, charcoal grill.